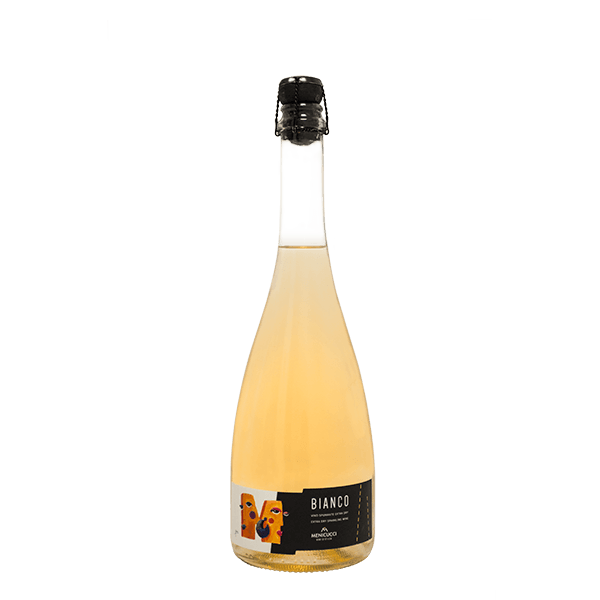 M Spumante Bianco is made with 100% Trebbiano grapes , this refreshing sparkling wine is perfect to share anytime of day ! 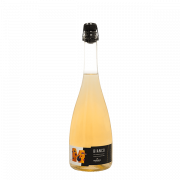 Intense, enveloping and a balanced bouquet, with notes reminiscent of green apple, white grapefruit and acacia flowers. The palate is rich, intense, soft, and fresh with notes that have complete correspondence with the perfume. Production Area: Old vineyards selected in the municipalities of Orsogna, Filetto and Guardiagrele. The soils are made up of textured lands and generally end with a limestone substrate and rocky outcrops sparse. The thermal values ​​characterize a rather warm texture, with little annual rainfall and very high temperature ranges; ideal conditions that have a positive influence on the quality of the grapes. Planting Density and Training System: 1600-1800 plants per hectare & pergola Abruzzese. Wine-making Process: After harvesting, the grapes and the whole bunches, without undergoing lacerations, are subjected to soft pressing from which the “must flower” is obtained. It follows the static cold decantation of the must, for the elimination of the solid parts in suspension. With the inoculation of selected yeasts, fermentation begins at a controlled temperature of 16 ° C.
Refinement: The wine is racked and placed to refine for a few months in steel barrels. The sparkling base is then processed in the autoclaves where refermentation and foaming takes place. Tasting Notes: Straw-yellow colored wine with greenish reflections, very fine and lively perlage. Intense, enveloping and balanced bouquet, with notes reminiscent of green apple, white grapefruit and acacia flowers. On the palate rich, intense, soft, fresh with notes that have complete correspondence with the perfume. Food Pairing: It is the glass of sparkling wine for any time of day. 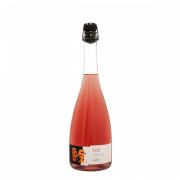 As an aperitif, it surprisingly stimulates the appetite; at the table it is the pleasant pairing with the daily lunches characterized by light foods. Serving Temperature: To be served at 6-8 ° C preferably with an ice bucket. Menicucci © 2018 Trademark of Menicucci S.r.l.